The bag for the past, present, and future you. Timbuk2 bags are extremely durable, water resistant, and tear and abrasion resistant - so you’ll have them for years to come. Billboards and subway ads would be placed in major cities that have Timbuk2 retail locations, such as San Francisco, Los Angeles, and New York City. 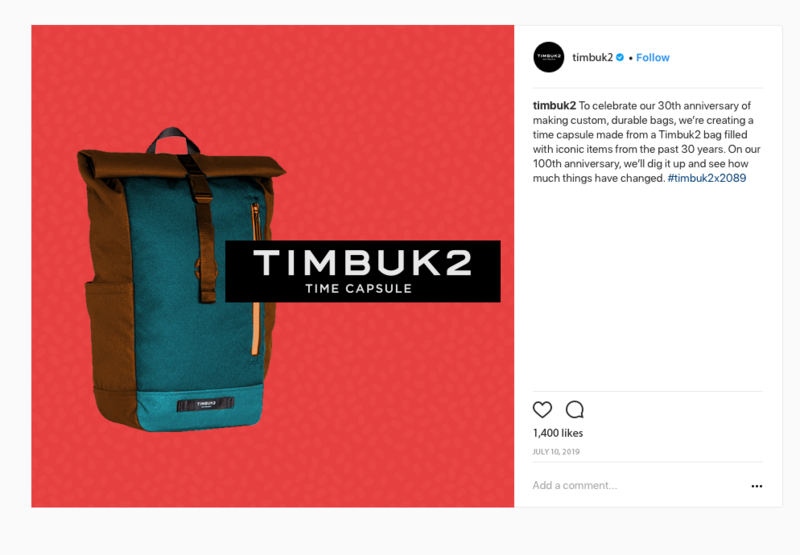 For Timbuk2’s 30th anniversary in 2019, they would build a time capsule out of one of their bags. This capsule would contain one iconic item from every year since Timbuk2’s founding in 1989. These items would be chosen by asking people on Instagram and Twitter what they would want to see in the time capsule. 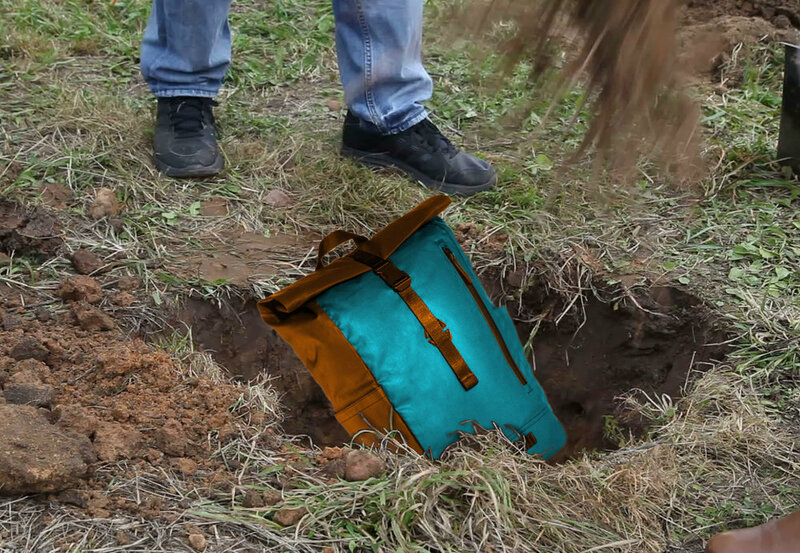 The capsule would be unearthed on Timbuk2’s 100th anniversary in 2089. Each Timbuk2 bag sold would come with a coupon for 25% off in 2500 (highlighting the durability of the bag) and stickers that read “The bag for the past, present, and future you”.